Queensland Sheet Metal offers different styles of Barges to finish off roof edges. These very practical roofing accessory options are just part of our comprehensive range of metal roofing supplies in Brisbane. These barges are roll formed to match our 125 Square-Line Gutter and they are cut to length to suit your requirements. Barge flashings are all custom made for your application and can be cut to any length up to 8m. Please see our Type 5 flashing for the measurements required. Alternatively we can make barge flashings in different shapes when drawings are provided. 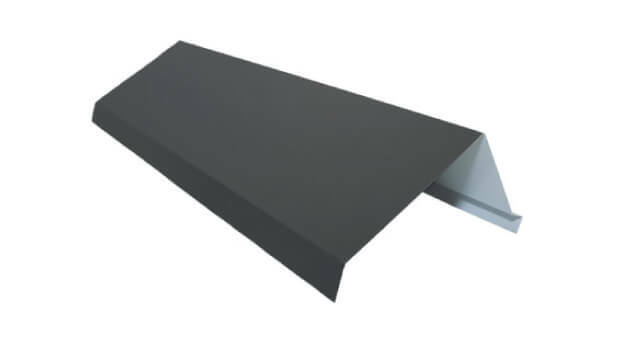 Barge Flashings are traditionally used as it provides a neat finish and Square Line Barge Capping is an alternative to aBarge Flashing. Both of these options are cut to length to your own specifications. Our barges are available in Colorbond® Steel, Zincalume®, and Galvanisedmaterials, according to your needs. These barges are roll-formed to match our 125 Square-Line Gutter and they are cut to length to suit your requirements. Barge flashings are all custom made for your application and can be cut to a length of up to 8m. Please see our Type 5 flashing for the standard profile that is usually used. 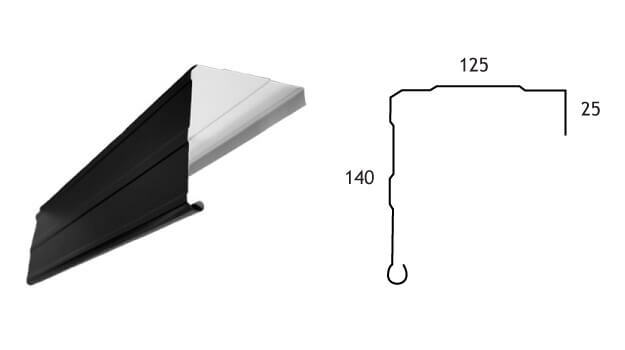 Alternatively, we can make barge flashings in different shapes when drawings are provided. All our barges are available in a vast range of colour choices. This big range is ideal for all roofing types and great for a stylish, exterior look. If you’re looking for specific roofing options or need some help with materials or colour selection, call Queensland Sheet Metal and talk to our friendly experts. We’ll be happy to assist. Call Queensland Sheet Metal for any help you need with product selection, other roofing or roofing accessory needs, practical advice, and friendly professional service. You can place your order, call us, or contact us online.